from 1999 to 2014 only. Roz and Aina fitted in two runs in the Easter vacation, both BE90. A good dressage but two stops XC at Howick was followed by a superb run at Sapey, clear and inside the time without hurrying. Summer, though, was trashed by the weather – as it was for most people. Plans to upgrade to BE100 went down the plughole as course after course became waterlogged and cancellations multiplied. 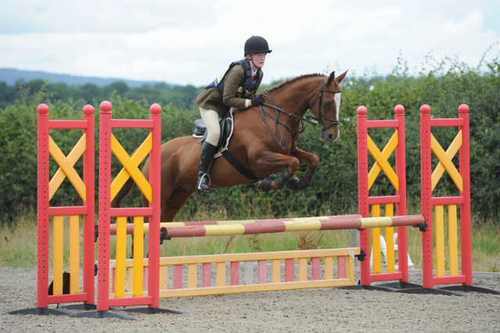 Going showjumping instead, they worked up to 3' 6", with three unaffiliated wins, a second and two thirds. They didn't get an ODE outing until mid-September, with BE90s at W. Wilts and Moreton Morrell. Although they completed, their lack of practice showed in some run-outs. 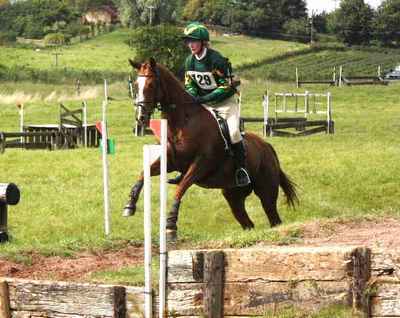 They finished the summer with 6th place at the Cotswold PC 2-Phase Horse Trials at Hilltop. Roz and Aina's first full season of BE eventing began with a BE80(T) class at Howick, where they thrilled their connections with a clear XC. Another BE(80) at Sapey followed before Roz went back to Oxford for the summer term. The summer vacation began with an unaffiliated ODE at Urchinwood, followed by four BE90 classes. 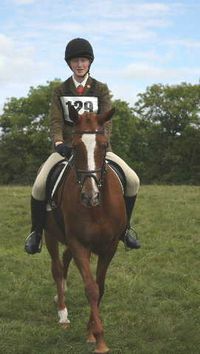 They improved steadily over the summer, and together discovered the thrills and joys of Cross-Country riding. Flatwork is much improved at home, but middling at best when competing, as Aina has begun to anticipate her fun XC. 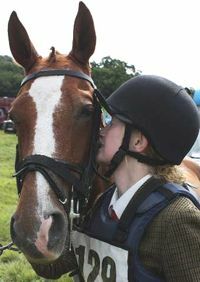 Show-jumping is almost too easy, and she has gone clear every time; she needs bigger courses now, as she is over-confident. Cross-Country, she tells us, is what she was born for. She has run out a few times from inexperience or lack of concentration; but she is now learning to lock on to her fences and think ahead. Her fears of water are receding, and in training she jumps in boldly; at this level, she only has to paddle for competitions. Roz and Aina finished their final event at Moreton Morrell with a copybook clear XC. Six runs, six completions and continuous improvement. Roll on, 2012! Aina came back from Matt and Marie Ryan's yard much improved and raring to compete... then promptly sprained a hock in her field during the first of two three-week spells of heavy snow with hard frost. 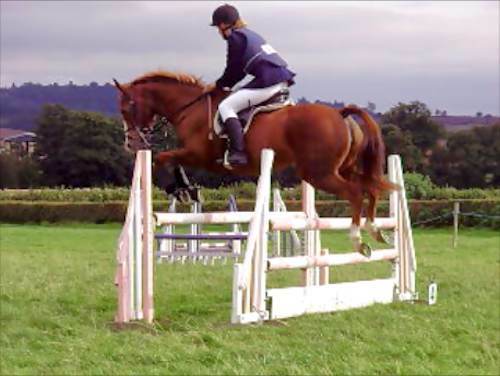 She came back into work in May, and after some warm-up novice showjumping and dressage (2nd and 3rd in both) did her first unaffiliated ODE at Cleobury Mortimer, going clear XC but for time faults. She was aimed via a Riding Club ODE for her first British Eventing affiliated ODE at Cleobury Mortimer; unfortunately the organisers had a disagreement with BE and de-affiliated the event, but ran it with the same classes at the same level, so Roz and Ainur did their first Intro, again going superbly XC. Finishing with some Hunter Trials, Ainur ends the season with all 6 XC courses completed, 4 of them with no jumping faults. She is currently enjoying a rest while Roz gets stuck into her first term reading Chemistry at Oxford; but may expect a busy Christmas.